Hi There! Thanks Giving is almost here. If you are like me you are already thinking about holiday gift ideas and shopping. I love the magic of Christmas. Even in the midst of cold, this wonderful holiday this radiates warmth spirit towards everyone no matter what religious belief they may hold. 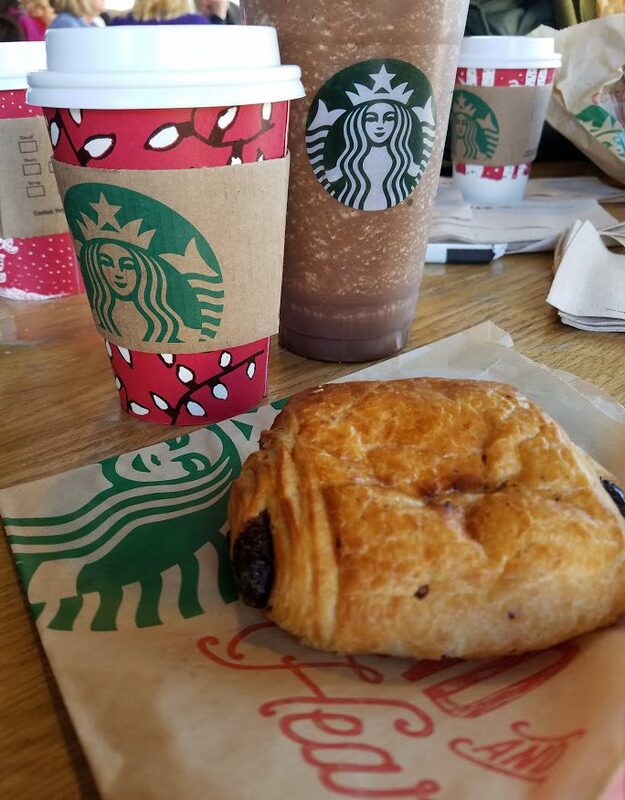 I love everything about the season, whether sipping on peppermint mocha at Starbucks, decorating my house with holiday lights, or just watching It’s a Wonderful Life , or binge watch the Home Alone Movie Series . I especially love the holidays because this is the one time when I can let my shopaholic self roam free and without my pocket feeling too bad. Now you may ask me how I can do that. Well, today I will share with you one big way you can get paid while shopping almost at every stores you shop. I actually have gotten paid close to $800 just by shopping at my favorite store online. Yes, I got paid while I shopped. One such way site know as Ebates. Ebates is the pioneer and leader of online cash back shopping. 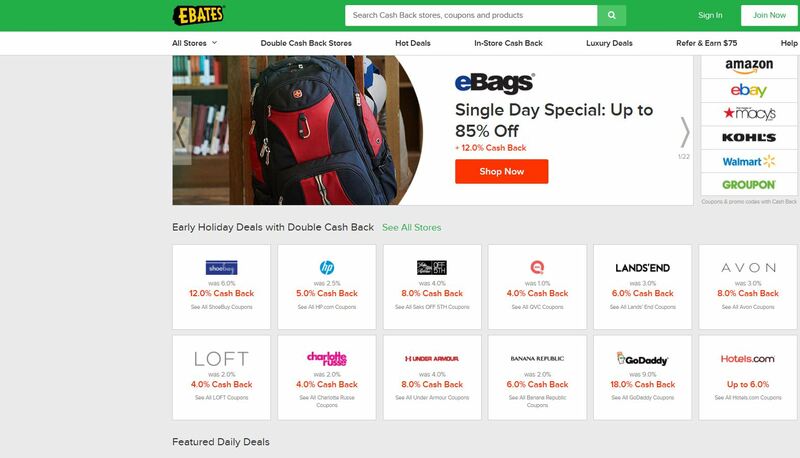 Ebates pays members cash back every time they shop online as well as provide them with the best coupons and deals online. Founded in 1998, Ebates Inc.’s websites have paid over $325 million in cash to its members. Hence, while you doing your holiday shopping online just click on the link provide, sign up and get cash back at over 2,000 stores. These stores pay Ebates a commission for sending you their way and Ebates shares the commission with you as Cash Back. 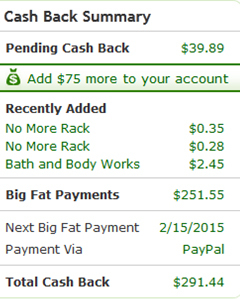 Every quarter, Ebates will mail you a Big Fat Check or PayPal payment. Using Ebates is simple and, most importantly, free. Join Ebates today and get a special Welcome Bonus. You already shop. Get paid for it! Another wonderful way to get paid is Swagbuck. Swagbucks is a popular rewards program that gives you free gift cards and cash for the everyday things you already do online. Earn points when you shop at your favorite retailers, watch entertaining videos, search the web, answer surveys and find great deals. Redeem points for gift cards to your favorite retailers like Amazon and Walmart or get cash back from Paypal. Swagbucks has already paid out over $120 million in cash and free gift cards. My personally love Ebates, because I have been using them the longest. I am completely new to Swagbucks. Check back on this post for my update on what I think about Swagbucks. If you are new to online shopping or a pro, I bet you would love to save money and get paid in the process so check out the above sites and let me know if you like them. Hope your holiday shopping is as magical and joyous as the season itself. Please let me know if you know of any other shopping rewards or promotional sites. These toothbrushes rock, wobble, spin, but won’t fall down. 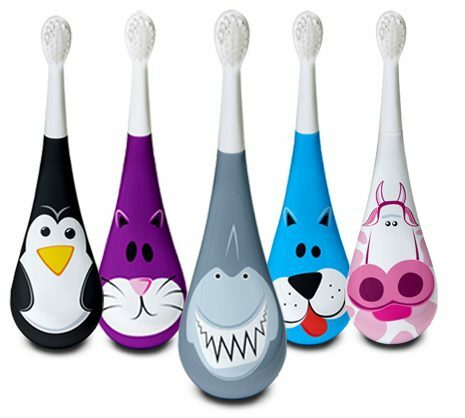 They comes in various designs, such as shark, penguin, and comes with replaceable brush heads with soft bristles for safe brushing. 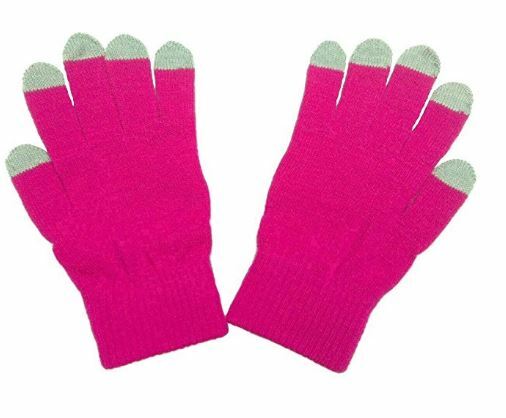 The ergonomic handle fits easily in small hands. 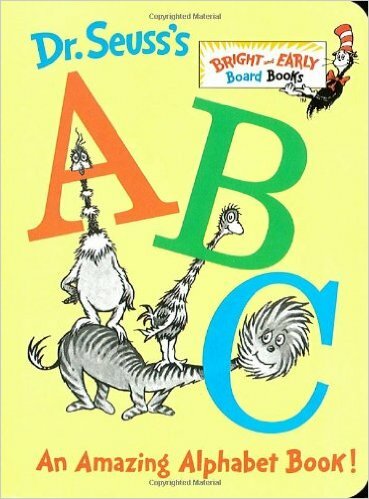 As for the price, it cost $7.95 at Amazon. These toothbrushes are however, not spin brushes. 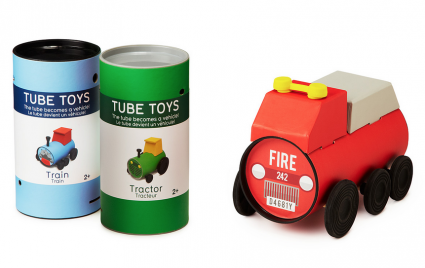 The imagination-driven push-along toys’ eco-friendly packaging transforms into the toy itself. Kids will love assembling and decorating these mini mobiles applying the included stickers, and can play with them as-is or add their own decorative flair.. The smartly designed car, fire truck, tractor and train engine are made from recyclable and earth-friendly materials. 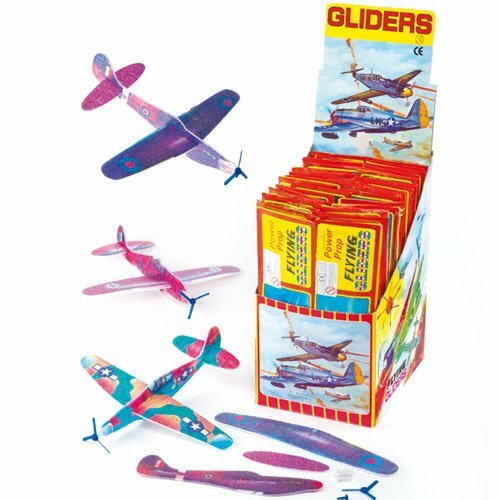 Their convertible packaging transforms into the toy itself, reducing waste to a single piece of recyclable paper. These toys are available at Uncommongoods. With just seven days of Christmas left, are you all set with your holiday gift for your loved ones? 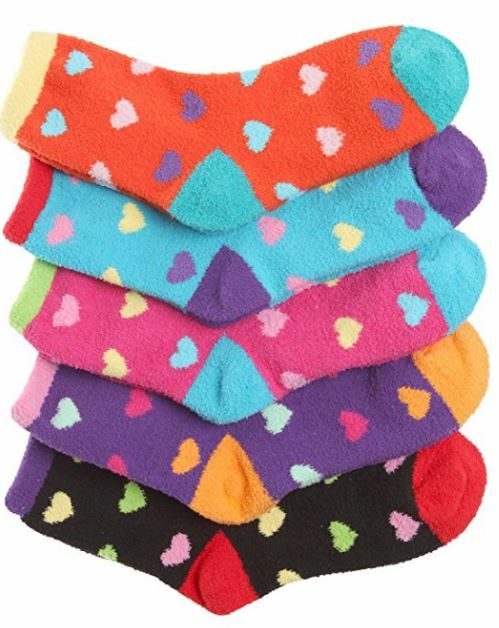 If not today I have come up with list of some ideas of gifts. This year I have done most of my shopping online avoiding the lines in the store and taking time away from my busy day going from store to store. Instead shopping online gave me the chance to do some research and avoid the traffic and the store lines. Hope you enjoy the blog. If you have any clever ideas for gift please share with us. 1. 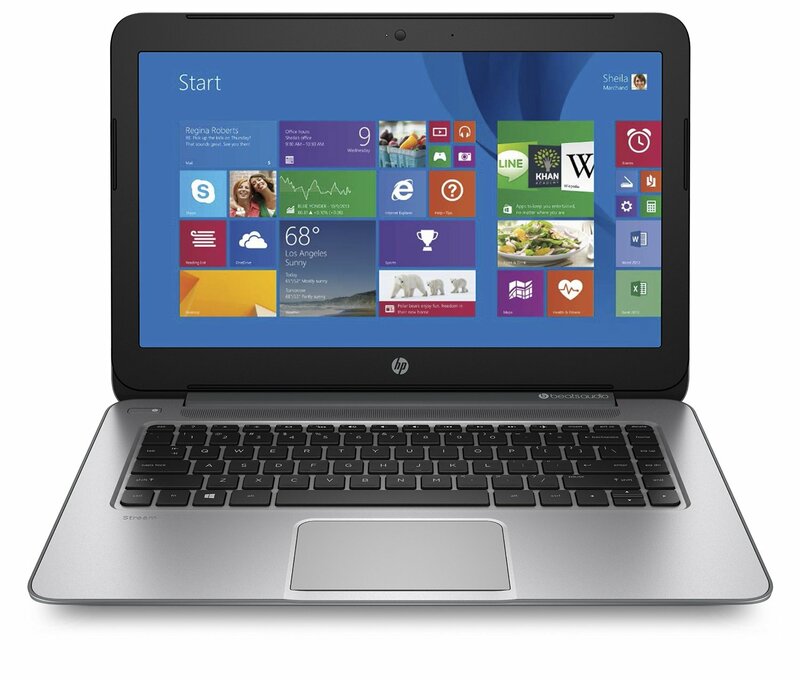 HP Stream $295.82 at Amazon It’s a light weight 14” windows 8 notebook with AMD Quad Core A4 6400t 1.0 GHz processor and 2 GB 2 GB DDR3L SDRAM. It also has 32 GB Solid-State Drive and 100GB OneDrive Cloud Storage for 2 year with 6.5 hours batter life. This would be a wonderful gift for anyone, young and old. You can get 2 day free shipping with your prime account at Amazon. It’s a lightning fast 11.6” notebook with Intel Core i3-4005U 1.7 GHz processor and 4 GB DDR3L SDRAM. 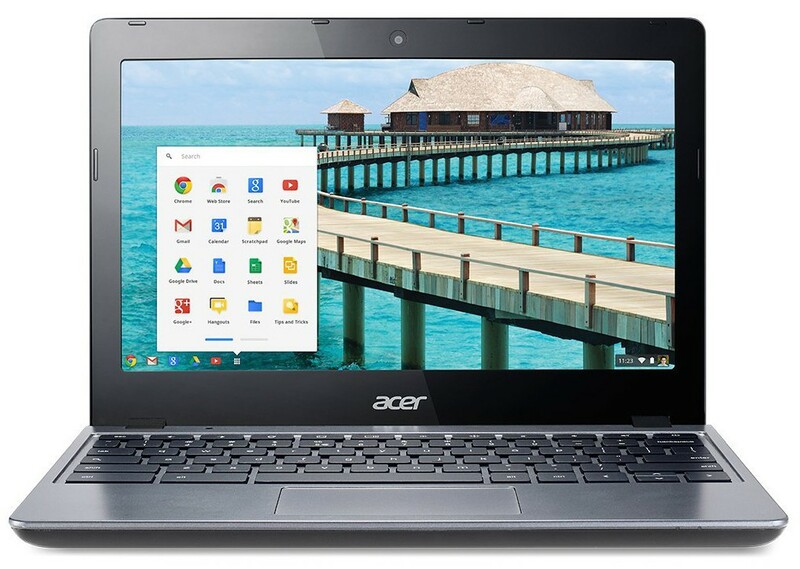 It also has 32 GB Solid-State Drive and Intel HD Graphics 4400 with 8.5 hours batter life. 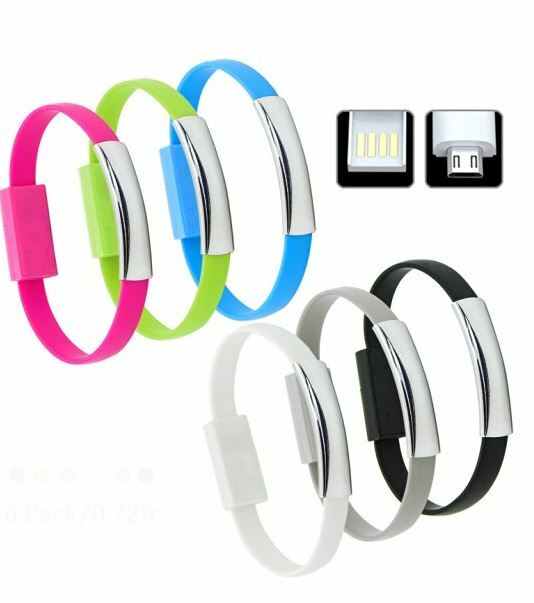 This is also great gift for anyone including students. However, as one use puts it, “Ask yourself these questions: 1. Do you have a constant internet connection for using the computer? 2. Does the student need anything outside of google docs (So, docs [word processing], spreadsheets [think excel], presentations [think powerpoint])? 3. Are you and the student fine with this not being able to play standard computer games? (This includes games such as minecraft) 4. Do you have a cloud ready printer, or are able to get it to work with google cloud print? If you answered no to any of these questions, then this computer might not be suited to your or the student’s needs. That said, if you did answer yes to all the questions, than the computer may very well be suitable for you and or a child.” The computer is of a good quality, and is great for daily use. You can get 2 day free shipping with your prime account at Amazon. 3. 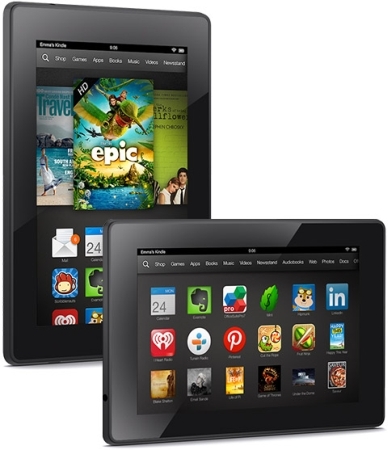 Kindle Fire HD 7 Tablet $114 at Amazon You would not love a tablet for gift. Your loved ones can not only enjoy the crisp, vivid HD display (216 ppi / 1280×800) with over a million pixels—perfect for apps, movies, TV, games, photos, and more but can also enjoy over 33 million movies, TV shows, songs, books, Android apps and games—including Facebook, Netflix, Minecraft, and more. You can get 2 day free shipping with your prime account at Amazon. 4. Kinetic Sand (Age 3+) $15 and up at Uncommongoods This is a great product to give to your kids and teenagers. For $15 you get 1 kg of this wonderful product and $45 will give you 5 kg. A secret binding agent keeps the granules together, so you won’t find sand dunes or drifts settling around your home after playtime. As a result, you kids will be happy and you will be happy too. 5. Make Your Own Body Butter $29 at Uncommongoods Do you have a teen girl in your life, then you know how hard you might be to please her with gift here is a unique gift idea that she would definitely like. Why not give her this unique gift where she can use simple way to make your skin feel luxuriously smooth and nourished using all-natural, organic and Fair Trade ingredients. This is great gifts for adults as well. 6. Pick Punch $25 at Uncommongoods or $24.95 at Amazon and get free 2 day shipping with prime account. Have a love one who plays the guitar then this is the great gift for him/her. 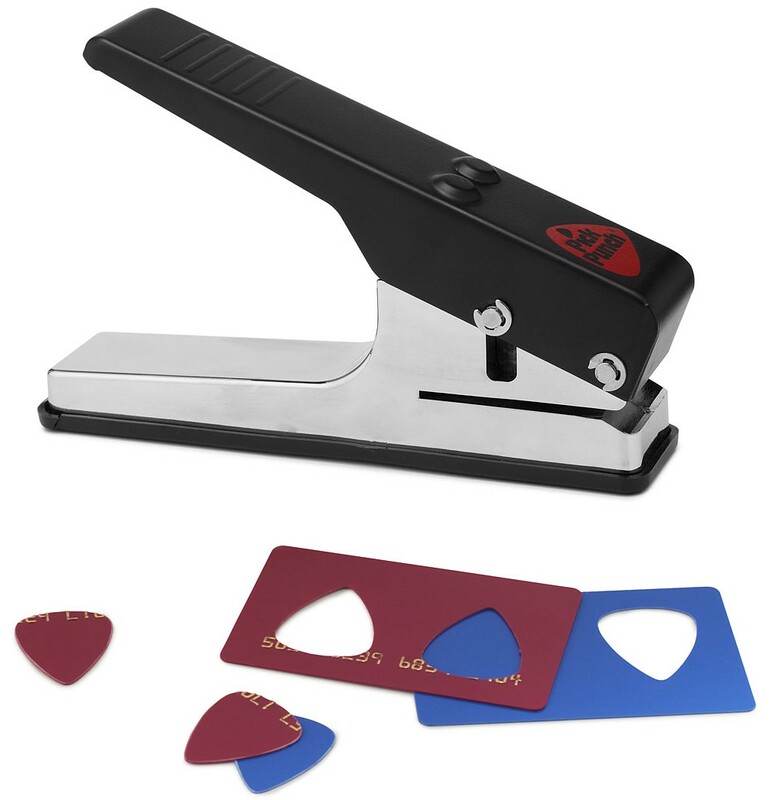 With this gift he/she can make guitar picks out of anything: credit cards, old records, DVD cases, thin pressed wood. The musician in your life will also love this as a gift. This handy mixer does its job. The equalizer works just great. 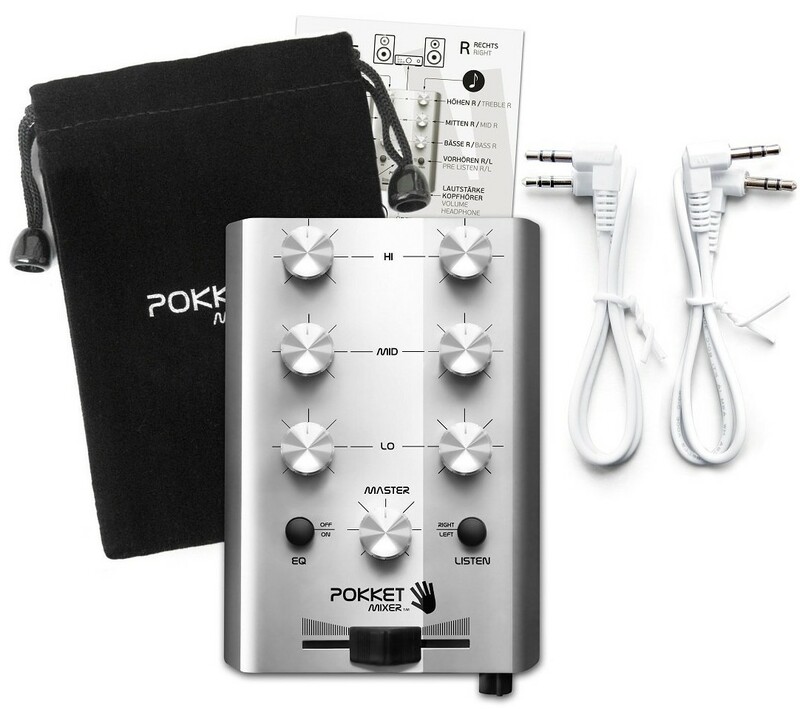 Versatile and easy to use, the mini mixer needs no power source—just plug it into the headphone jack of your mp3 player, laptop, or phone and instantly amp up your own beats. It is compatible with any device with a headset outlet. You can get 2 day free shipping with your prime account at Amazon. This is the perfect gift the active ones in your life or the ones whom who want to see make more healthy choices. 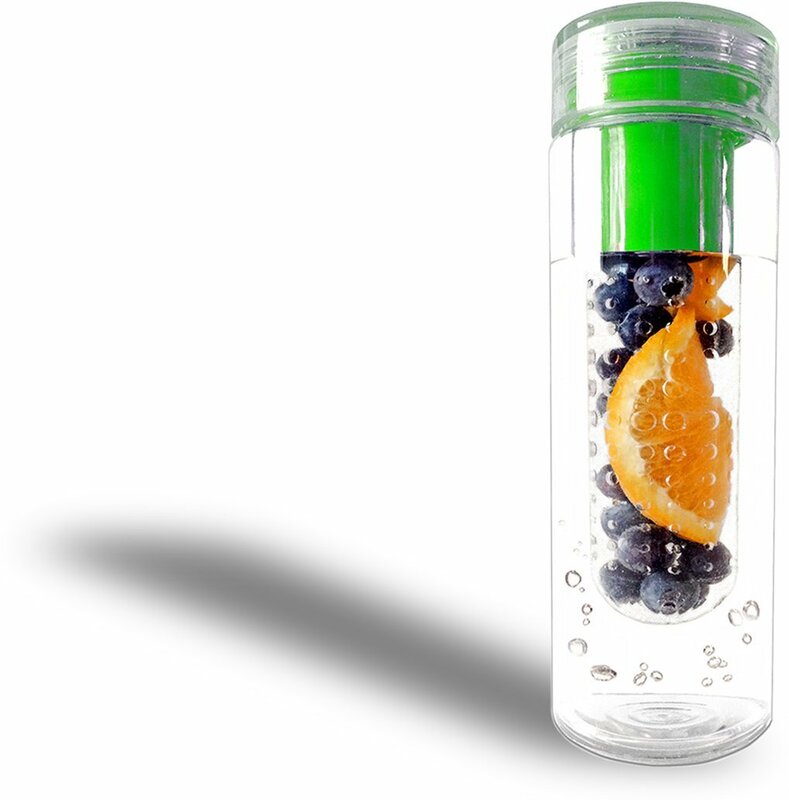 Whether they are at the gym or in the office, it will be easy to add a little flavor to their day with the Infuser Water Bottle. To create their own infusions, they simply have to cut up their favorite fruits and veggies, place them in the center capsule, add water and shake! You can get 2 day free shipping with your prime account at Amazon. Impress the health nut on your list with this intelligent activity and sleep tracker. 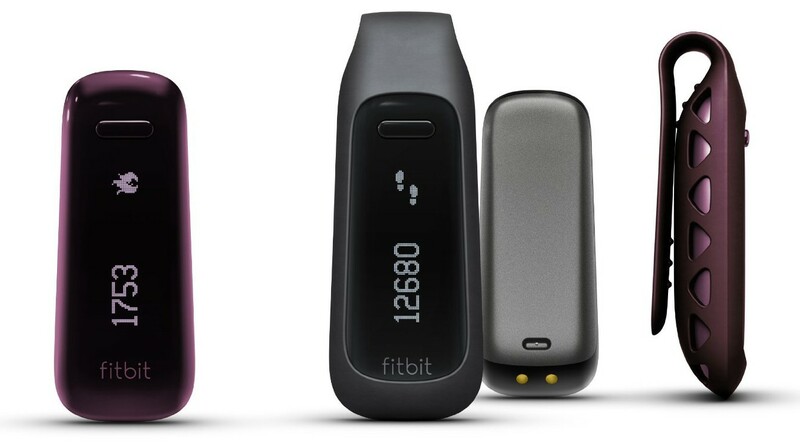 Fitbit tracks steps, distance, calories burned and stairs climbed. It also wakes you (and not your partner) with a silent alarm and syncs automatically to your computer or select smartphones and tablets via Bluetooth 4.0. Most of all, it will goals, view progress and help earn badges. 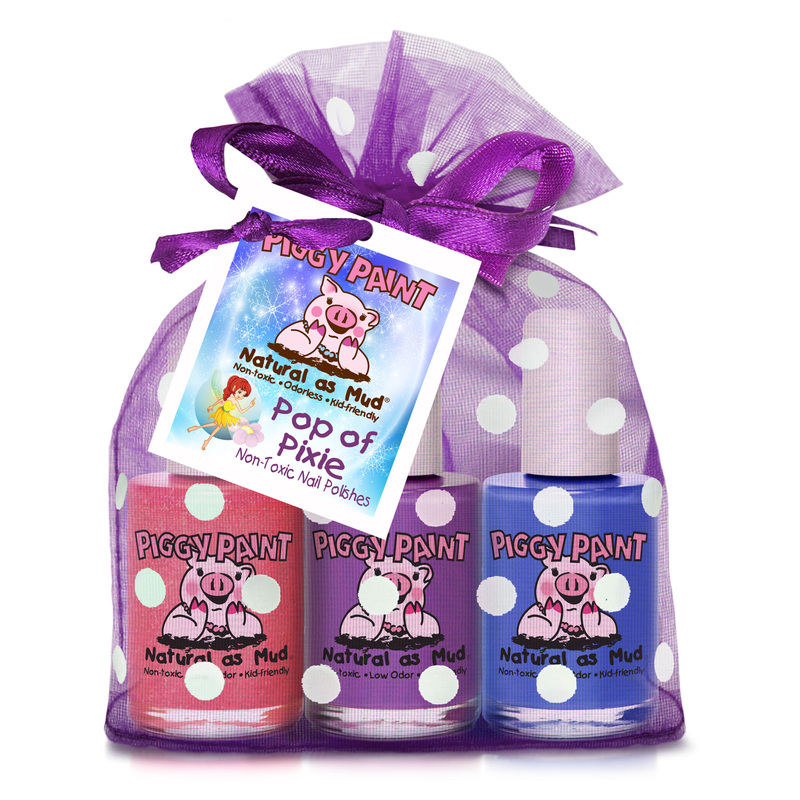 This is great gift for your teenagers for older kids. Not everyone has the time to grow their own fresh herbs in a garden or keep up with an attention-hungry pet. The AquaFarm is part micro-garden, part fish tank and its sustainable ecosystem, which means that there’s very little work involved. 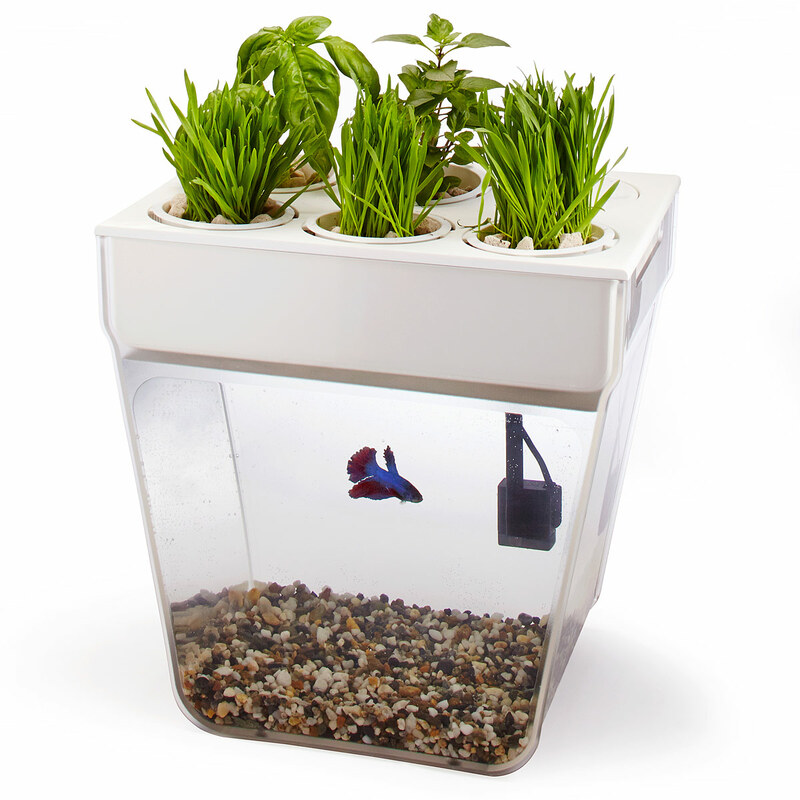 The fish waste sustains edible plants you can grow from home and the plants keep the fish tank clean. In the top tray, basil, mint, spinach, baby greens, and other edible or decorative plants thrive as nutrient-rich water is circulated past their roots. That process purifies the water, which is then sent back to the 3-gallon tank below, creating a happy, healthy habitat for a betta fish. This will also an intriguing visual centerpiece for anyone’s own environment, whether that’s on a side table or countertop, in an office, classroom or kitchen. 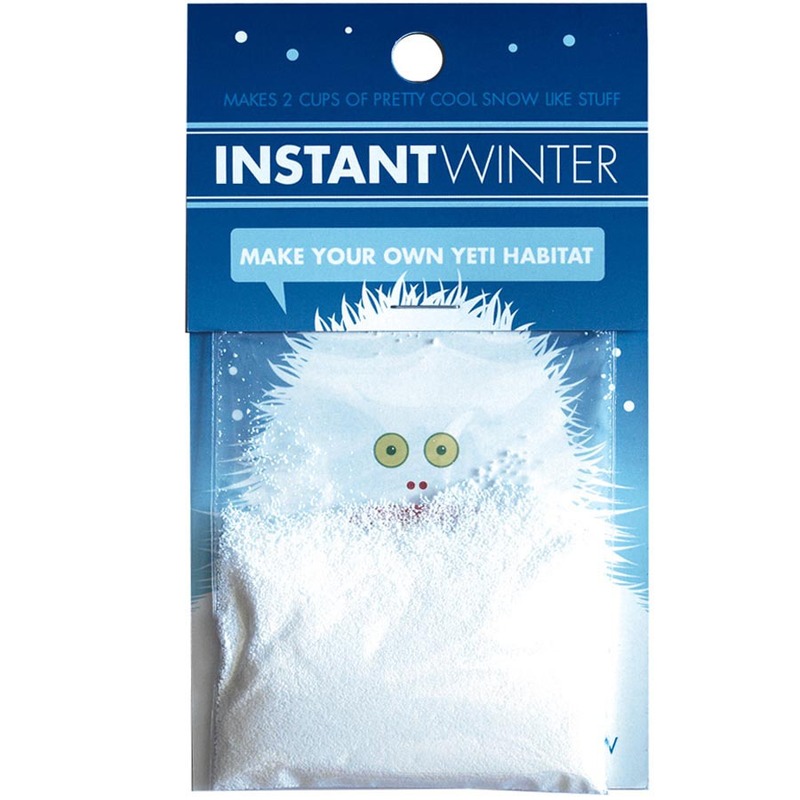 Hoped you liked our suggestions of holiday gift ideas. 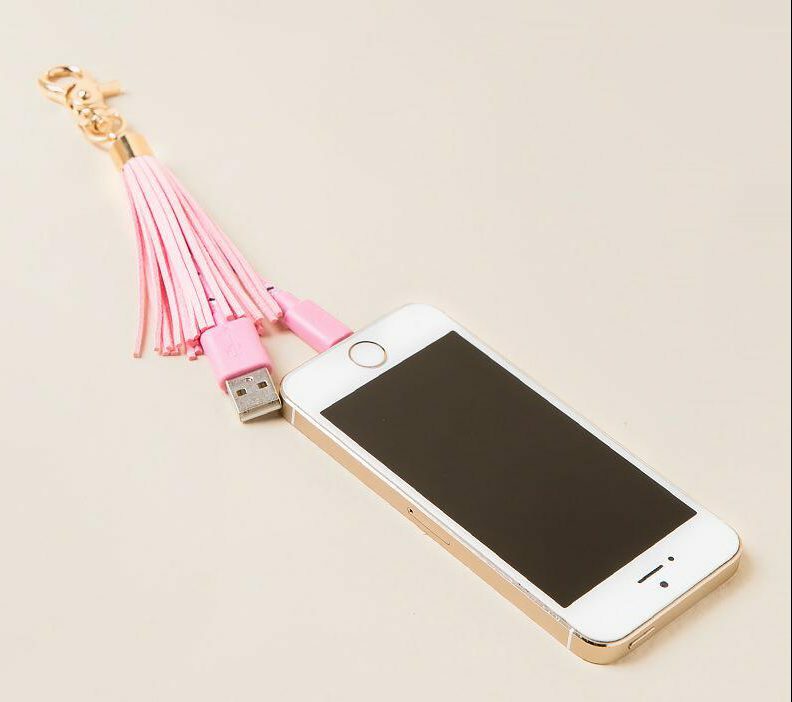 If you have any creative of unique gift suggestion don’t forget to comments. Happy reading. Now that holiday season is upon us, I know that everyone is already busy deciding what to get the loved ones for the holidays. 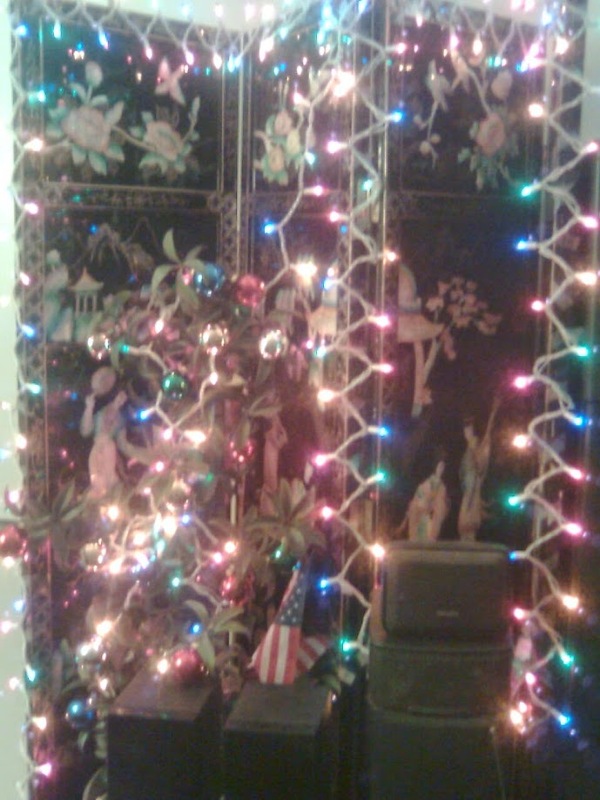 I for one love this time of the year, the lighting, and all the decorations and festivities. It is all so magical…enchantment of the disenchanted world, as George Ritzer, Sociologist and author of McDonalization of Society, might put it as. Through Ritzer’s point of view one can argue, in today’s McDonalized society all the holiday decorations and lighting we see outside is just a mere attempt to create a feeling of grandiose and magic to lure shoppers to malls and stores and empty their wallets to shop during the holiday seasons. In many ways, that is true. Nevertheless, whatever the reason might be, I love the warm fuzzy feeling that this season brings; whether drinking hot chocolate or making holiday deserts with family; shopping for gifts for friends and family or just spending quality times with the loved one, it is all so just magical. No matter what religion you belong to, this season is still joyous and magical for all. I was watching the news the last few days regarding holiday shopping, and learned that more and more people are shopping online. I for one am one of them. It is more convenient for one. I can do all my shopping in the comfort of my home. One thing that I have been doing lately that has helped me earn money while shop online I will share that secret with you today. The site is called Ebates. 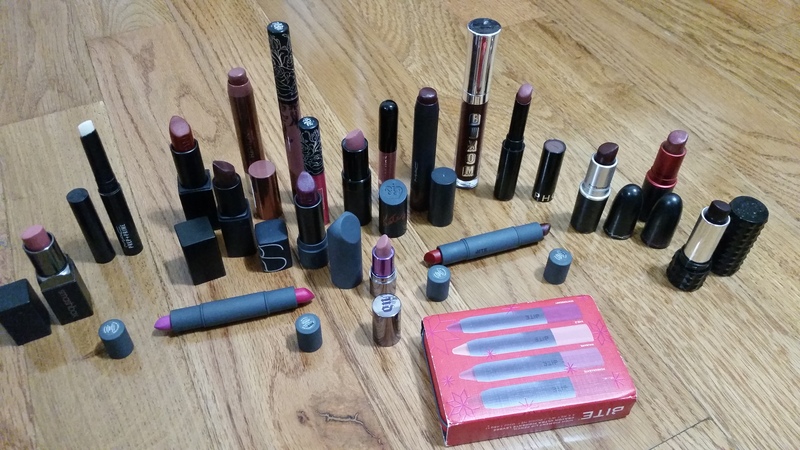 I have made close to three hundred dollars so far just for shopping at my favorite stores, such as Sephora, Nordstorm, Bath and Body Works, Body Shop, Gap, Macy’s, Best Buy. You go the the shopping sites through Ebates and you get paid just for shopping at your favorite sites. I even got paid for booking my travel through Expedia and Priceline. If you are a online shopper like me that this is the site for you. You have nothing to loose. Just click on my link and you will get a $10 gift card just for signing up and after you sign up refer your friends and they will receive gift cards for signing up. As part of my holiday giving mood, I am providing you with some online promo codes from some of my favorite stores. Hopefully, you all can sign up for Ebates, which by the way is absolutely Free to sign up. You use the following coupons to not only save online but use Ebates to earn some cash back as well. Hence, this going to be double savings. Hopefully, you will take advantage of it. Happy readings. Hope you will enjoy using these promo codes and shop through Ebates and get paid for shopping and save during this holiday season. Hope you’ll enjoy the warmth of the holiday season and all the blessings that comes with it. I will love to here your comments. Happy reading.